Wells Fargo (NYSE:WFC) and Amazon.com (NASDAQ:AMZN) have announced an end to the partnership they formed to offer discounted student loans. Wells Fargo Education Financial Services, the bank’s student lending wing, had agreed to shave half a percentage point from its interest rate on student loans to Amazon “Prime Student” subscribers. Prime Student subscribers also received benefits such as free two-day shipping, access to movies and television shows, and photo storage for a membership cost of about $50 a year. The unexpected termination of the partnership comes as a surprise to many. The partnership was originally announced about six weeks ago. In that announcement, the bank lauded the plan as a “tremendous opportunity.” The two companies had been talking about the partnership for more than a year. The partnership was beneficial for both parties. The partnership was Amazon’s first foray into the competitive market of lending to college students. With Wells, Fargo, Amazon got its foot in the door of the growing student lending market. In return, Wells Fargo received a boost in its market share in the student lending business. The partnership was meant to help the bank reach millions of potential customers who shop on Amazon. The U.S. student loans market has become one of the biggest consumer debt markets of the nation. Wells Fargo is one of the largest originators of private student loans. The bank entered the business in 1968 and has aggressively tried to build up its student loan business in recent years. It currently serves over 1.05 million students, parent and family customers across 50 states. Wells Fargo is currently the nation’s third-largest bank by assets. Critics of the partnership claimed that the two companies were making a “cynical attempt to dupe current students” into private loans with high costs and inflexible repayment terms. Undergraduate students can borrow federal student loans at a 3.76 percent interest rate. A review of Wells Fargo’s website shows student loans that carry interest rates as high as 10.93 percent. Amazon spokeswoman Deborah Bass has confirmed the termination of the partnership. Today, Amazon no longer features Wells Fargo on its student-focused website. Wells Fargo’s Amazon-focused site now redirects visitors to the bank’s general student loan section. A Wells Fargo spokeswoman declined to provide further details of the agreement. The student loan industry is currently under heightened regulatory scrutiny over alleged anti-consumer practices. 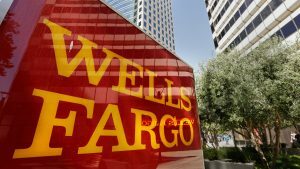 Wells Fargo was hit with a $3.6 million fine earlier this month by the Consumer Financial Protection Bureau for unlawful private student loan servicing practices. The lender was accused of practices that resulted in increased costs and unfair penalties to certain student loan borrowers. Wells Fargo neither admitted nor denied wrongdoing in the matter.